We are a leading Wholesale Trader of pilot lamp from Chennai, India. Backed by in-depth market domain, we are engrossed in offering Pilot Lamp. Elegantly manufactured by vendors’ diligent experts and modern machinery, the offered indication lamp is made accessible in numerous specifications. The provided indication lamp is used for providing light. Also, we are offering this lamp at pocket-friendly prices to the customers. 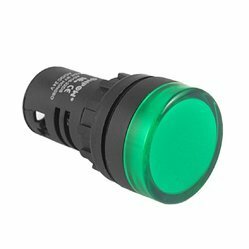 Looking for Craftech Indication Lamp ?